It’s back to our regular business meetings everyone so please join us Thursday September 1st at the Clubhouse in Oakbrook. Brugg Lifting will be presenting and as always it’s a great opportunity to talk shop, network and learn something you may not have otherwise known. PLEASE NOTE THE CHANGE OF TIME AND LOCATION FOR THIS MEETING! class raffle with the industries finest prizes kept all the attendees in smiles. special group picture to mark the 105 years we have been in existence. The CEA was Established in 1911. $465.00 dollars for the raffle of the sweater. Outing helped the EESF by raising $2000.00 dollars to further their mission. The golf outing was only successful due to the support of the sponsors. We wish to say Thank You. We hope everyone as been enjoying the summer so far. Tomorrow is the CEA Golf Outing which will be a blast. 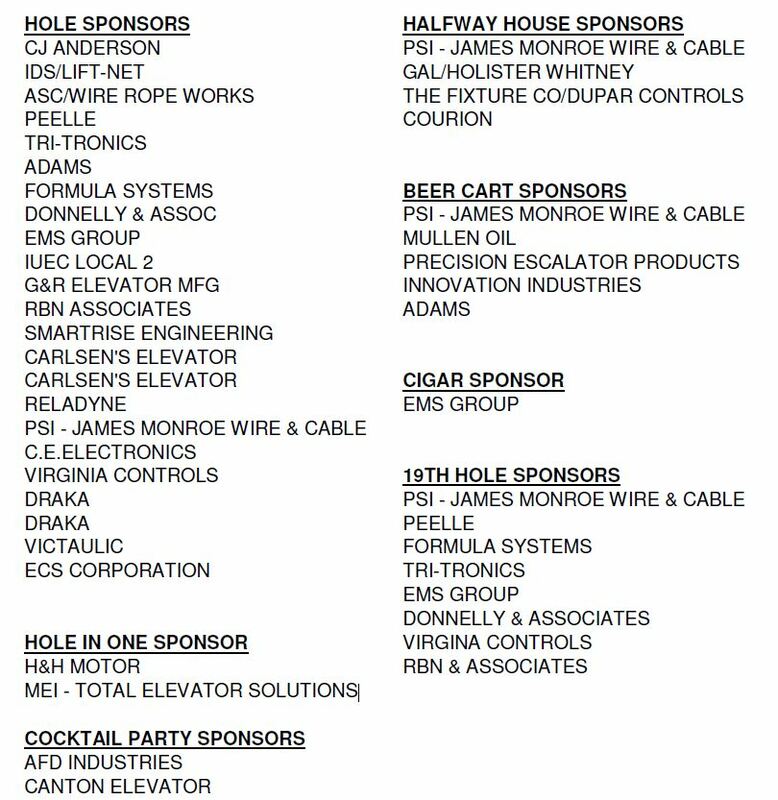 Thanks to our sponsors, the participants and the Golf Committee for making this one of the coolest events in the industry.